Besides being RCR’s 50th anniversary, Hemric shares his hometown (Kannapolis, N.C.) and car number (8) with the Earnhardt family. It’s the number Ralph Earnhardt, the family’s patriarch and 1956 NASCAR Sportsman champion, used on his winning race cars. Dale Earnhardt used it at the beginning of his racing career and Dale Earnhardt Jr.’s cars carried it when he drove for Dale Earnhardt Inc.
With the closure of DEI, the number went back to NASCAR. Team owner Richard Childress requested it and has reserved it every year since he obtained it. It only seemed appropriate for Childress to return it to competition with another Kannapolis native. However, the final decision wasn’t made until he discussed with the Earnhardt family. Hemric possesses a “huge sense of pride” in calling Kannapolis his hometown and he believes that carries throughout the race shop. “I feel like when they realize where I’ve come from, where I’ve been and how I’ve gotten to this point it kinda puts a little pep in everybody’s step with the ‘American dream’ of guys getting here,” Hemric said. Not only does Hemric share his hometown with the Earnhardt family, but also the way he reached stock car racing’s pinnacle. He earned it, often working on his own race cars. Hemric began competing in go-karts at age 5 at Concord (N.C.) Motorsports Park with a dream of one day racing cars professionally. Five years later he moved up to Bandoleros and competed in that division until age 15. Next he focused on Legend cars where he won the 2009 national championship in addition to Charlotte Motor Speedway’s Summer Shootout Series title. In 2010, he won CMS’ Legends Million and points to that event as the boost his career needed. Three years later Hemric claimed the Southern Super Series championship. That year Hemric also made his NASCAR Truck Series debut, but he didn’t have a full-time ride on that circuit until 2015 when he joined NTS Motorsports. Two years later Childress hired Hemric to drive one of his Xfinity Series cars and last year he made his Cup debut at Richmond. 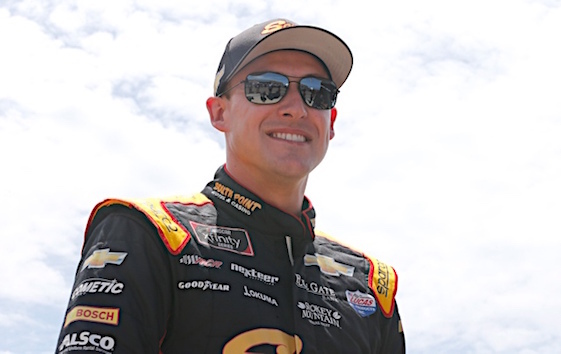 This year, more than two decades after Hemric’s dream of a professional racing career was fostered, the modest driver finds himself with a full-time ride in the Cup Series with the same team for which his childhood hero drove.